The sleek and minimalist, Salento (glass) dining table from Mark Harris Furniture will make an instant striking impression on your dining area. Designed to accommodate up to 6 diners, this stunning glass dining table will be a perfectly stylish contemporary setting for any occasion. 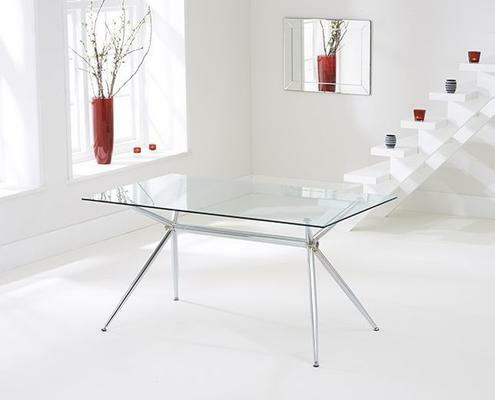 The Salento (glass) dining table features chic handmade legs crafted from chrome that complement the clear glass table top beautifully. 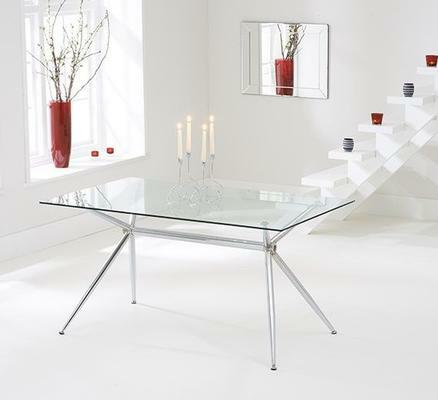 Visually appealing the designer feel of this glass dining table makes it ideal for any modern dining space.